Backed by our rich industry experience, we are involved in presenting high grade PVC Sheet Vinyl Flooring to our clients. Appreciated for their varied designs, colors, long lasting shine and easily clean, these flooring consists of 2-3 layer namely base, prints and transparent. Our quality controllers test the entire range in terms of quality and durability. Thicknes : 1.5mm, 2mm, 3mm, 4mm. We "Berry Floors", established in the year 2005 are one of the well renowned suppliers and traders of Commercial and Residential floorings. These flooring are well-acknowledged in the market for their trendy and stylish designs. Our product range is taken from some of the trustworthy vendors of the industry. 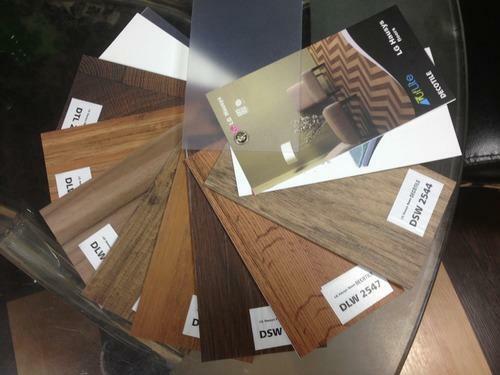 We are backed by excellent quality flooring materials for corporate as well as residentials as per clients need. Our offered products are supplied in conformation with international quality standards. Our team ensure that products are highly reliable, durable and longer service life. In order to provide complete satisfaction to our clients, we also provide standard and customized options. Moreover, these products are timely delivered to the clients end and are rendered at competitive price range.